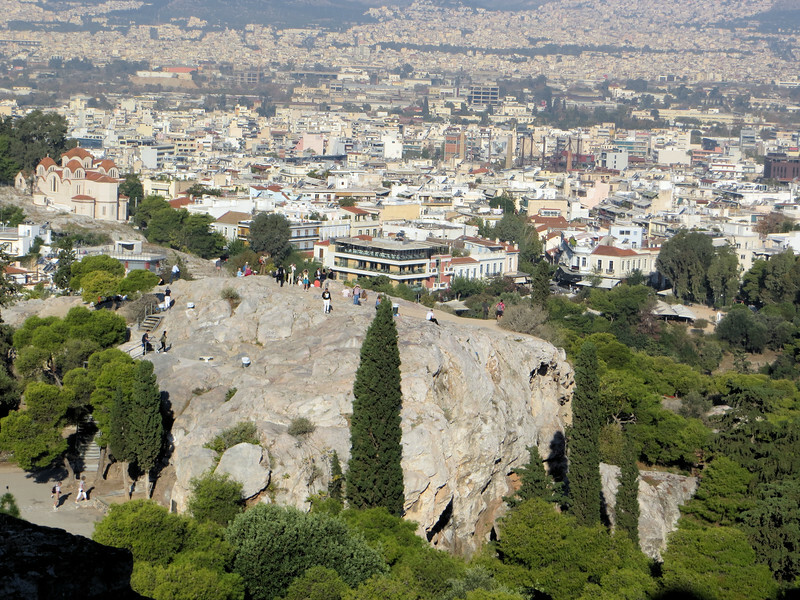 Mars Hill, or Areopagus. It looks like a kind of rugged climb up there, but it gives you great views of the Acropolis, especially the Propylaea, the massive entry gate to the Acropolis (see later pictures). It is said that the Apostle Paul once preached from this rock, recounted in Acts 17.